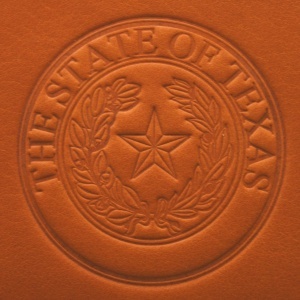 Come browse State Seal of Texas products: Texas themed products that are imprinted to proudly display our beloved State Seal of Texas. Consider indoor/outdoor Texas metal artwork wall plaques, hand fired glass office decorations and also powder-coated custom designed paperweights both made in Texas. Or choose from America’s Finest maker of fine china gifts and dinnerware Pickard China. 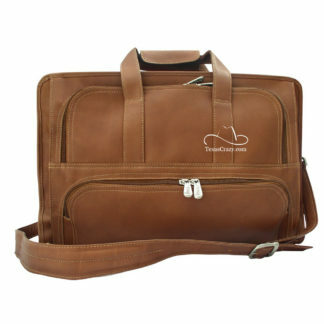 Or look at our line of full grain leather luggage, laptop portfolio organizers, travel cases, sports bags, passport ticket holders and custom leather notepad holders and soft leather business accessories from Piel Leather. With a name like Texas Crazy we obviously specialize in Texas themed merchandise and better TX souvenirs that proudly display he always recognizable emblems and Texas symbols of our beloved lone star state. So if you don’t see a Texas symbol product on this page, keep digging. For specific details on the State Seal of Texas products we carry, please click on any picture below.